In response, Battista said she made an emergency request to keep polls open past 8 p.m., but a judge turned it down. “All provisionally voted ballots that could be counted have been counted, regardless of the method of segregation from the other ballots,” Lundrigan said. This issue underscores how widely the voting experience differs across California's 58 counties, notes Kim Alexander, president of the California Voter Foundation. Case in point: Voters in Kings County were told they could register to vote on Election Day and cast their ballot at a polling place. But, it turns out, that wasn’t true. Some poll workers seemed confused about California's new Conditional Voter Registration (CVR) system, a new rule allowing eligible voters who missed the state's Oct. 22 registration deadline to go to their county elections office or a designated satellite location and register to vote conditionally through Election Day. Ballots could then be processed after the county elections office completed the verification process. Kings County Registrar of Voters Kristine Lee said she received calls from poll workers on Election Day asking whether voters could conditionally vote, and she instructed them to allow it. “I don’t think whether someone registers at a polling place or inside the office should be a determining factor in counting the ballots,” Lee said. More than 100 conditional ballots were cast at polling places in the county. After the election, Lee said attorneys representing both candidates contacted her about the ballots. According to Lee, the attorney for Valadao’s campaign said those ballots should not be counted. The Secretary of State's Office confirmed that the ballots had indeed been cast invalidly. And, said Raul Macias with the ACLU of California Voting Rights Project, the onus certainly shouldn't be on the voters. Last year Macias sent a letter to the secretary of state arguing that the new CVR system was too restrictive. Mismatched and missing signatures were also a concern for voters in Kings County. Paul Harris, from Hanford, said a volunteer with the Democratic Party contacted his daughter the day after the election to inform her that both of their ballots were in danger of not being counted because of missing signatures. “They wanted to have two signatures for the ballot to count,” Harris said. When it comes to missing or mismatched signatures, individuals who vote by mail are usually notified with a letter. Voters who cast their ballot in person, however, are not always notified. 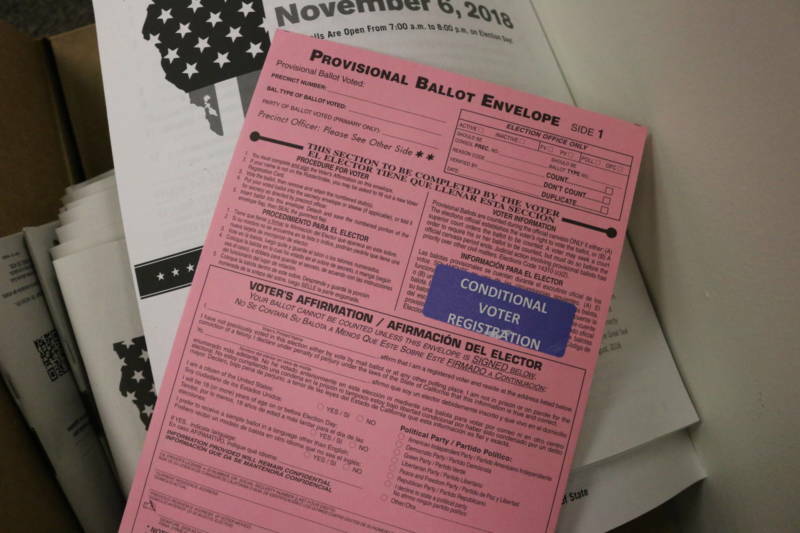 The Secretary of State’s Office provides the opportunity for voters to file a complaint if they have concerns, said spokesman Jesse Melgar. “The secretary of state works every day to ensure that all eligible Californians have an opportunity to vote and that their votes are counted," he said.